With just a few days left to sign up for coverage through the Illinois Health Insurance Marketplace, Get Covered Illinois (GCI) urged Illinois’ uninsured residents to take action now to enroll in a health plan under the Affordable Care Act (ACA). Uninsured residents who do not sign up by March 31 will not be able to benefit from a Marketplace plan that might include financial help until January 2015, a nine-month wait and a huge missed opportunity. GCI also announced the Get Covered Illinois Help Desk (866-311-1119) will be offering extended hours from 7am to 10pm through March 28th and from 7:00 am until midnight from March 29-31. In addition many GCI grantee organizations are offering extended hours over the next days in order to meet the demand for in-person assistance from certified navigators. 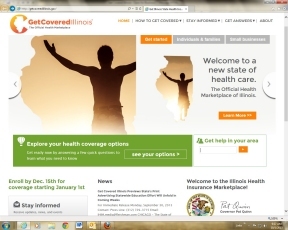 Go to GetCoveredIllinois.gov to find organizations in your area and call ahead to find out hours of operation and to make an appointment for enrollment assistance.